--Losing my two very favorite necklaces. One was a Mothers Day gift and one was a Christmas gift from Ben last year. I just want to scream, I hate losing things. I know, I know #justthings #replacable still so mad. 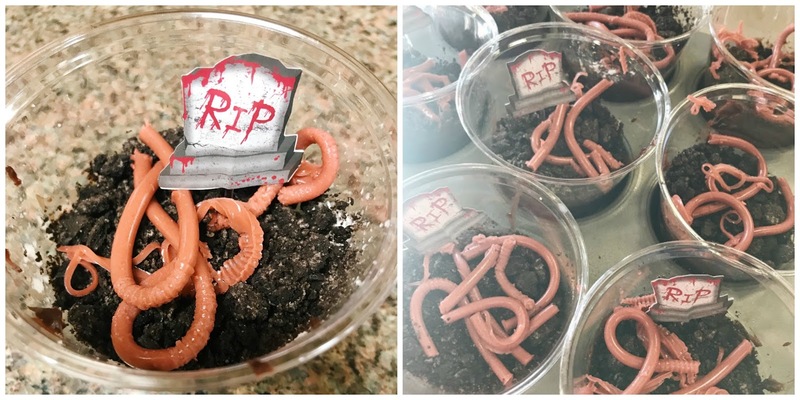 --Spending way too much time and effort on a preschool Halloween snack that turned out too scary that the kids wouldn't even touch it haha (The worms are made from Jello in a straw, on top of pudding, whip cream and dirt (Oreos)) NEVER AGAIN. I was thinking at 1am when I was jimmy-rigging straws in a loaf of bread with elastics and then squeezing them out with my cold dead fingers one-by-one WHY DO I DO THIS CRAP?! --An indirect heartbreak that is just killing me. 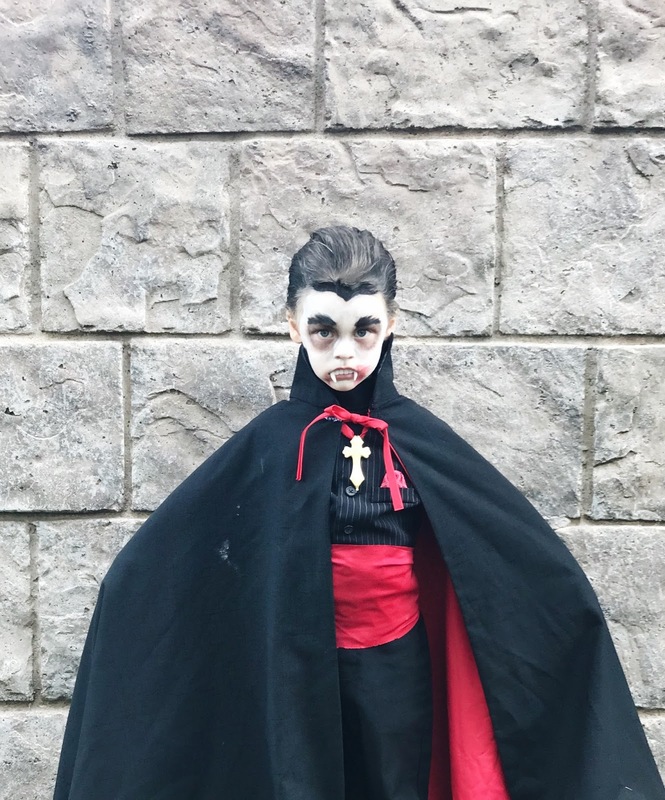 --Realizing the very select group of people that will know and appreciate our costume this year. --Our van got keyed, like bad, from one end to the other. I just do not understand what kind of person does that. Ben says it was probably because I parked bad and someone got revenge but COME ON! Even if I did (which I didn't, I'm an excellent parker) who does that?! --The kids were soooo excited to carve pumpkins and begging and begging. We cut off the tops and they both refused to touch the guts, Patrick was crying he was terrified of it, he was even gagging. 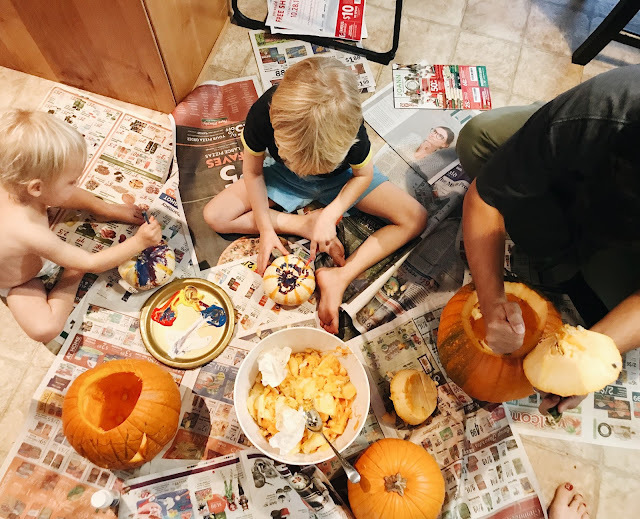 They obviously couldn't really help with the carving part and they both lost interest and claimed it "boring" very quickly. ++My mom's birthday!! Happy Birthday Mom, thanks for being the best mom and friend in the world. I wanted to throw her a huge party but she made me promise not to. I wish we could have been together for your birthday. ++Teaching Everett the dance to go along with our costumes and seeing how excited he is for everything Halloween and trick or treating. Like it is 9 am on Halloween and he has already asked if we can get ready to go trick or treating 11 times, it's going to be a long 8 hours. ++During said late night crafting, Ben and I have been watching Stranger Things 2, have you guys heard of it? hahahah JK! We are 5 episodes in, trying not to have it end too fast! I am so impressed, it's still soo good. They had so much pressure for a good season 2 and they are doing it! It scares the crap out of me but I love it. Anyone else dreaming about it every night? ++My friends just bought their late grandparents home and everything was left inside of it. We had a late night party going through closets and closets of vintage clothing and I was in heaven and got some stuff I'm so excited about! Hahaha, okay - I'm sorry, I'm secretly dying that none of the preschoolers would eat that awesome dessert. In a way thats a win, right? It's done so well they all thought it was real! !